If we were having coffee this morning, I'd tell you that I am loving this daylight savings deal. I feel like I have so much time in the evening to cook leisurely, go for a walk, and have time to a relax before going to bed. If we were having coffee this morning, I'd tell you that I am SUPER excited about events happening in April and I'd love to see some familiar faces! 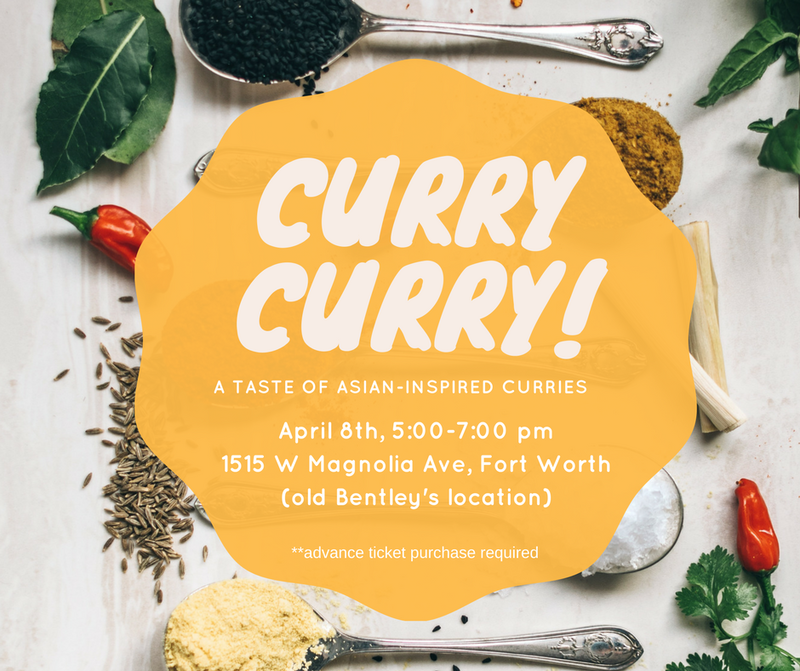 Join me and Hao from Lost in the Sauce to taste delicious curries and desserts inspired from Asia on April 8th, between 5:00 - 7 :00 pm. Menu and ticket details are here! Join me and Hao from Lost in the Sauce again for Dumpling Pop Up on April 21st, Saturday for delicious dumpling & desserts. More details here and I can't wait to see you! Emily from Zen & Spice and I are hosting an "Instant Pot Cooking 101" on April 28th, Saturday! We will be teaching everything you need to know about Instant Pot, make and sample 10+ dishes, and send you guys with confidence and recipes to use your IP. It's a a limited class so if you are interested, I suggest reserving your spot. Purchase ticket to instant pot cooking class! If we were having coffee this morning, I'd tell you that I am thinking of starting a vegetable + herb garden. I have attempted that every year with very little success but I am not giving up. If you have tips for someone with a black thumb, flood me with your suggestions. If we were having coffee this morning, I'd tell you that I am experiencing IBS-like symptoms and it's been a little frustrating trying to figure that out. Seriously, gut health is SO important and I hope mine is only mild and temporary. If we were having coffee this morning, I'd tell you that I am itching for travel already. It's something about planning a trip, doing research about the country and figuring out the details, I get so much joy regardless of when I actually visit the country. Countries on my mind lately : Peru, Vietnam, South Korea, and Japan. If we were having coffee this morning, I'd tell you that I am thinking of joining a local yoga studio, preferably a hot yoga to strengthen my practice more. I really enjoy practicing at home but having that community feel might be nice for a change. How are you liking the day light savings? Any fun trip (s) coming up?